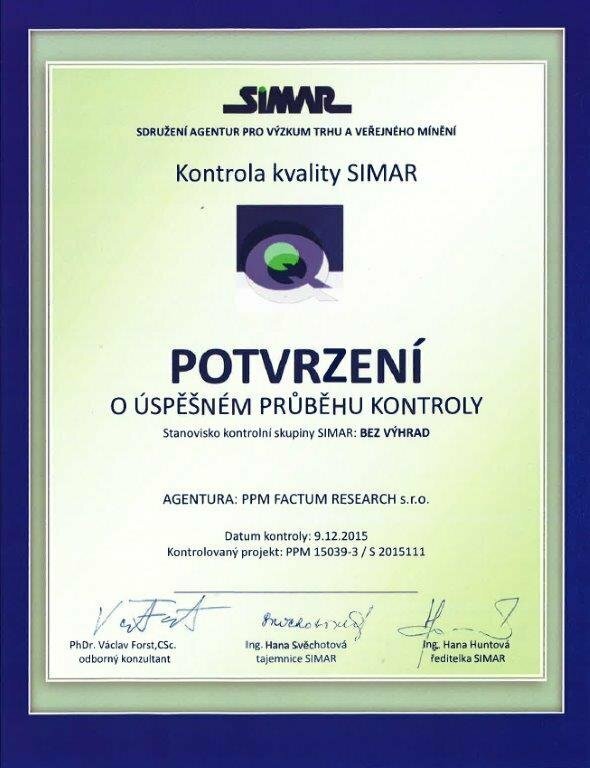 We have recently received a "Certificate of achievement during the inspection" from SIMAR (the Czech market research agencies association). 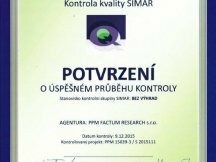 The SIMAR control group has evaluated the outcome of its investigation with the final statement "WITHOUT RESERVATIONS". We are understandably pleased with this result. This verdict was confirmed for the fifth time in an uninterrupted series. In compliance with the standards we do not ease up, and our clients can count on high-quality in the future.